SHAH M BOOK CO was founded in 1974 and is now the largest dealer of books and other publications in Afghanistan. Our objective is to give people access to all published materials ever published about or in Afghanistan; we offer over 2,000 titles for sale and we have a research library containing over 17,000 titles of books about Afghanistan in a variety of different languages providing unparalleled information about the country. Our outlets do not limit themselves only with the Afghan subject, but also offer a range of general books, i.e. Engineering, Medical, IT, Management, Accounting, Politics, Art, Children’s Books, Language Related, Tales & Stories, General History, Women’s Books, Religious, and much more in English, Dari, Pashto and other languages. We share an uncompromising belief in providing our customers access to all published material ever published on Afghanistan. By doing the little extras, we strive to set the standard of excellence in our industry. We are a family-owned and operated company with deep roots to Afghanistan’s civil society. A significant factor in our growth has been the integrity and high ethical standards, which influence our policies and business decisions. 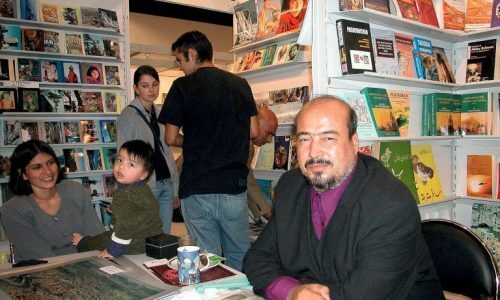 Shah Muhammad Rais, founder and managing director of SHAH M BOOK CO at our company booth in Frankfurt Bookfair, 2004. "Great seller! I was shocked to see what I wanted from Kabul, Afghanistan shipped to USA on time as promised! I would purchase from this seller again." "awesome books. really no other place to get books like these. pashto has few resources. great books." "My book arrived in perfect shape. I had professional, cordial interchange with the proprietor, Mr. Turaj Rais. Good service! Would buy from them again." "The book was in perfect condition, and arrived faster than I thought, particularly since it was coming all the was from Afghanistan! I got an immediate, courteous response when I emailed the seller. The book itself is unique and fascinating." "The book arrived way ahead of the estimated delivery date. Mr Turaj Rais responded to my queries very quickly, he was a pleasure to deal with. I'm so thrilled that my book has been signed also, thank you so much!! I'm a very happy customer :)"
"Finding this book and getting via international mail is not an easy process. The seller did a great service to keep this book in stock and brought it to Amazon for us to find it. Thank you for the service!" "Item arrived two days before the estimated delivery date ended, and the book was in excellent condition as advertised. I would gladly do business with this merchant again." "Ordered on the 16/08 and arrived 5 days later to France: fantastic! Very fast shipping and well packed. I recommend this seller. Reply to my e-mails within 24 hours. Excellent. One of the best sellers I have met in Amazon!!! Thanks a lot ShahmBookCo." "At first I was disappointed about the late delivery, but then I realized that it was actually coming from Kabul, and that the book was in excellent condition. I would absolutely buy from this seller again." "The product arrived a few days late, but as the other buyer mentioned, it ships directly from Kabul. The item was just as described and was very difficult to find anywhere else. Thanks for the service and the product!" "Initially I did not receive all the books, most likely lost or damaged due to the fragile post service between Afghanistan and the US, but Rais from Shahmbookco was very polite and helpful, and they re-sent the missing books promptly. I can not recommend them enough, I am very satisfied." "Seller very attentive to my enquiries. Book was shipped very fast, quality and price is excellent! Delivery was within estimated date. (which can be longer than usual due to afghan currier and other variables not in sellers power to influence). But definitely recommend! Would buy again from them without shadow of doubt." "Item as described arrived in perfect condition -- outstanding service! Highly recommended for a great many difficult-to-find items." "The bookstore to find classical and books that are rare to find in any bookstore anywhere. Excellent book quality and delivery was on time." "I don't know if I love the book more or the genuine Afghan stamps used on the parcel to ship the book. The book is a great present to my dad & I am sure my brother will love the envelope which has beautiful Afghan stamps. I am very satisfied with this purchase and will definitely buy from you again. Can't wait to receive some more books with beautiful Afghan stamps. Thanks for the great service!" "Incredible! Awesome service! Arrived from overseas in 10 days. Arrived more than a month ahead of time! Awesome service!" "Books arrived nearly one month before the promised delivery time of March 8th! Long before similar books ordered from England on the same day! 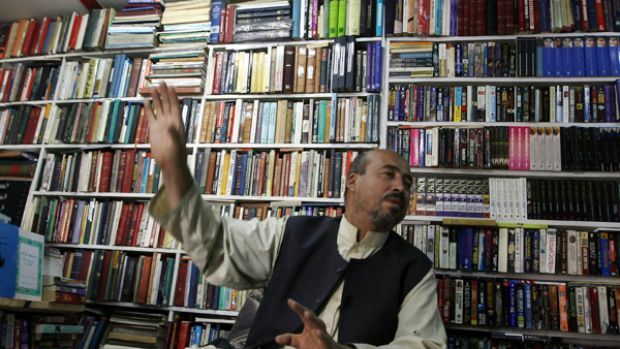 This seller, Shah Muhammed Rais, and his small bookstore in Kabul, Afghanistan are miracle workers! Incredible service! Highly impressed!" "Excellent and fast service, arrived in perfect condition. Thanks !" "I am amazed! The book arrived over a month earlier (!!) than expected, in perfect condition, with beautiful Afghan stamps on the envelope, which will make my father, a passionate stamp collector, very happy. The book is exactly what I was looking for. Thanks a lot! Highly recommended seller." "Book received with very fast service all the way from Afghanistan to the US via air mail, with less than two weeks in transit. Book in perfect condition and just as described."